The 2019 Symposium Planning Committee would like to invite all Federal sustainability practitioners, policy makers, and their business partners to participate in the 2019 Federal Environmental Symposium. The 2019 Symposium will be a gathering of federal agencies to provide existing and relevant environmental information to Federal representatives. 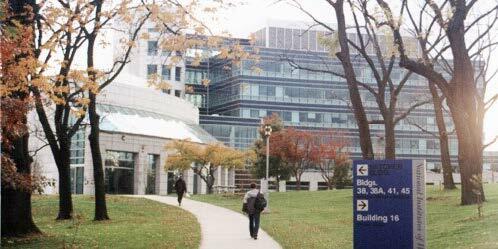 This event was first offered in 2006 and hosted at the National Institutes of Health (NIH) facility. The main purpose is to encourage partnerships, sharing of information, and best practices amongst Federal facilities. NIH will once again host the symposium at the convenient and spacious Natcher Conference Center in Bethesda, Maryland. Registration to attend and to exhibit is scheduled to open July 8, 2019. This year's theme for the Symposium – Federal Facilities Leading Environmental Change – focuses on the sharing of best practices, success stories, partnerships, and challenges and achievements of the federal practitioner community. The symposium is also expected to bring together federal agencies and their partnering organizations to provide existing and relevant environmental policy perspectives. Speakers from federal, state, and local regulatory agencies, academia and private organizations representing a federal agency, are invited to present at the event. The call for presentation abstracts opens today, March 18, 2019, and can be accessed by visiting this link. We invite and encourage all potential speakers to submit their abstracts by the May 3rd deadline. And, we encourage all prospective attendees to save the dates on their calendars and to monitor this FedCenter page regularly for the registration link that will be posted in the early-July timeframe. We look forward to your participation in the Symposium, and we are sure you will find this year's event a worthwhile investment - and fun!